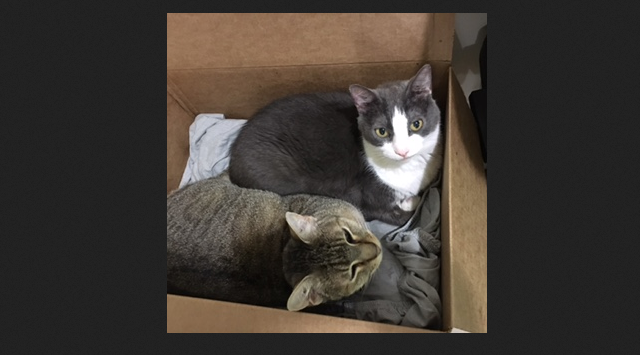 “We are seeking a loving home for our two cats. Due to a medical issue with our children, they can no longer live in our house; rehoming them is the advice of their veterinarian, our children’s doctors, and the shelters/rescue/and foster organizations we have contacted. The cats are 13 and 8; the 13 year old is a grey and white, and she has dental issues, but is otherwise healthy. She is affectionate and good with children. The 8 year old is a tabby, and has some health concerns that are well-managed, but require care. He is more aloof and should not be with small children. They are indoor only cats. “I paid some guy 40 bucks for a bike he clearly stole from someone.” Is It Yours?